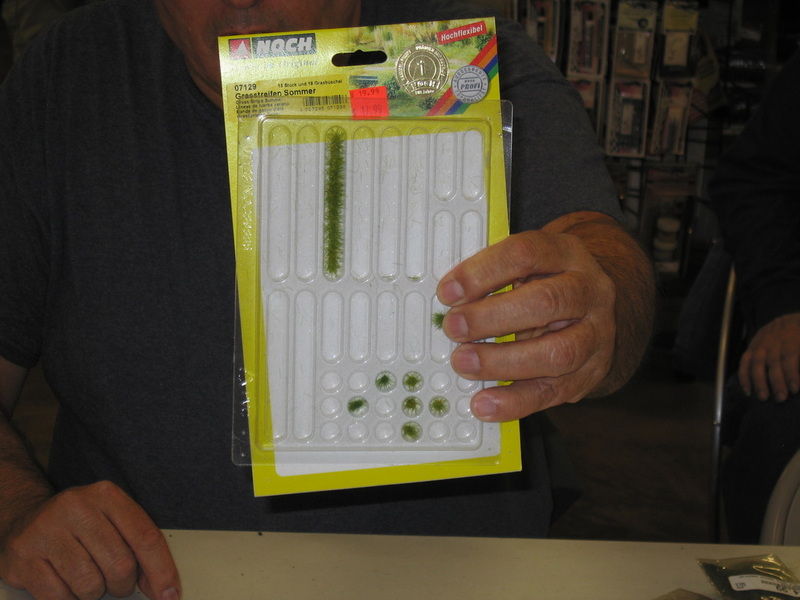 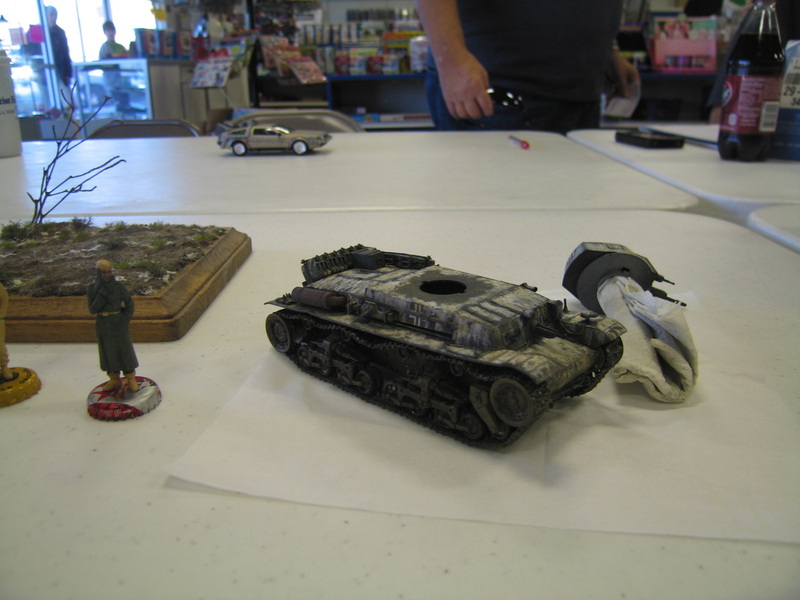 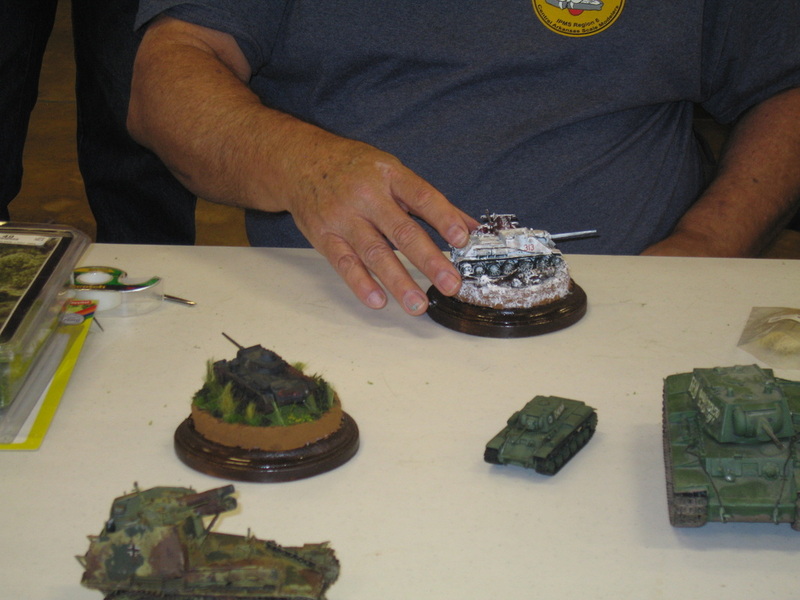 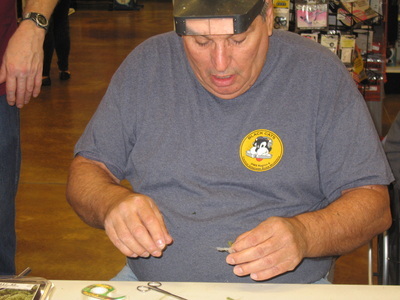 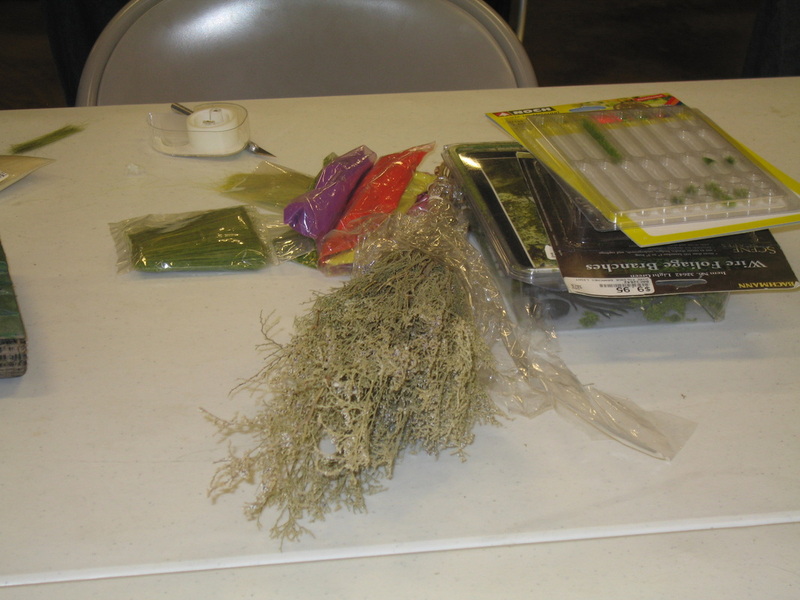 Hobby Market Days: Roger at HobbyTown told the group he is planning to have a few days in which people can rent the tables in the store to sell hobby related items. 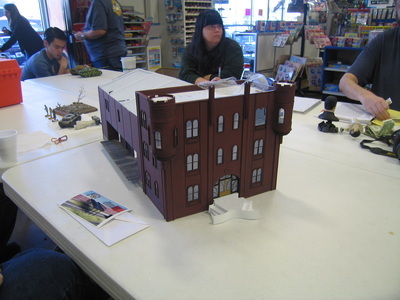 The tables will rent for $30 in advance and $35 on the day of the event. 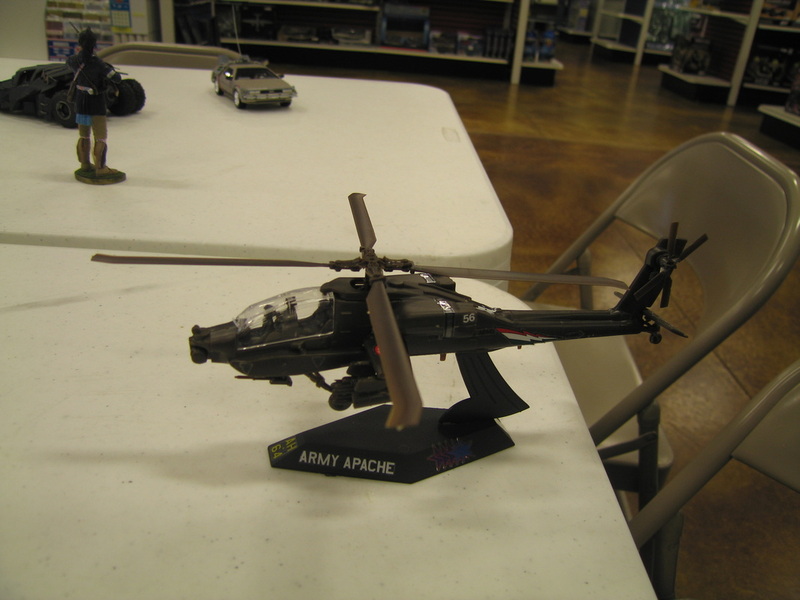 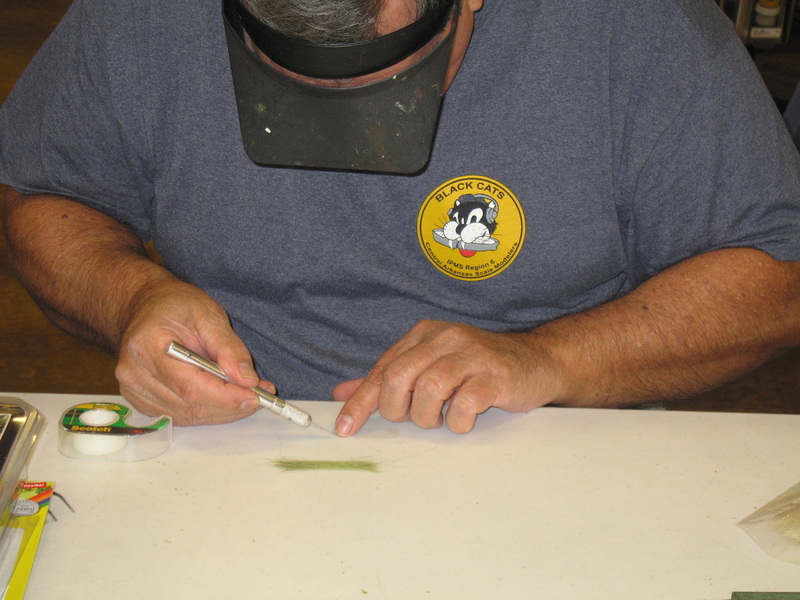 He asked the items you sell be related to the hobby items sold at HobbyTown, which would not include items such as coins, knives, clothing, etc. 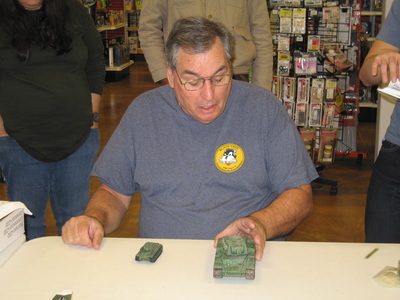 Roger will provide more information when the dates are firm. 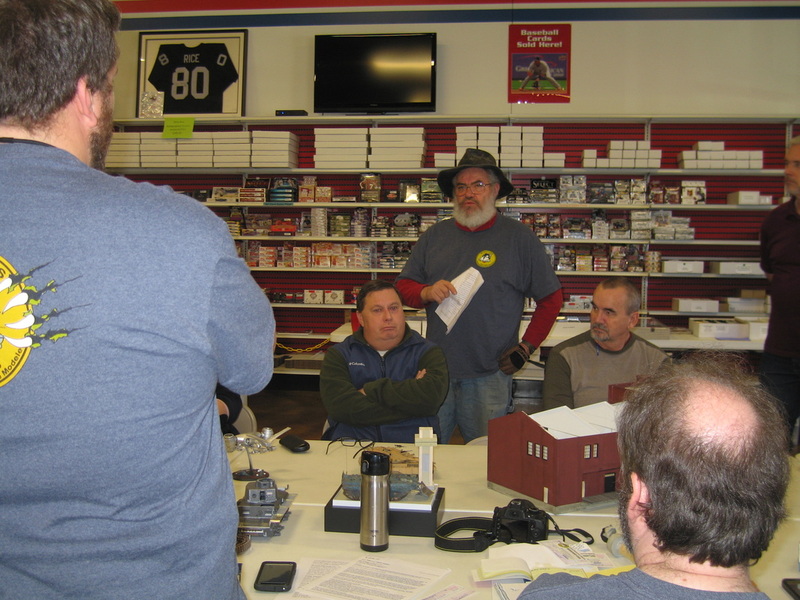 Sam Macheak: Ron Leker shared with the club that Sam Macheak has been diagnosed with cancer and underwent surgery on Friday afternoon at Baptist Hospital. The doctors have given a positive prognosis so far, and members are encouraged to visit, call or email Sam with well wishes. 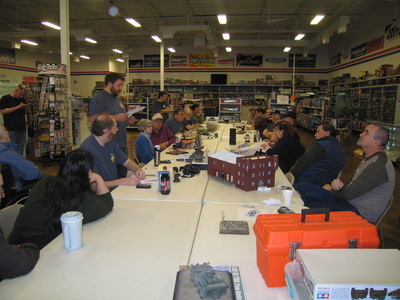 Region 6 Chapter of the Year: CASM has been named the 2012 Region 6 Chapter of the Year. This is CASM’s 2nd consecutive year to receive this award, and 3rd overall. A paperwork error with IPMS created some confusion, which delayed notification to CASM. Congratulations to everyone on this honor! 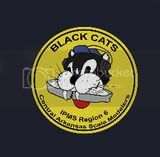 AMPS: Ken made some inquiries regarding questions that had been brought up about CASM getting a dual charter with AMPS. He received emails answering those questions for members to review after the meeting. These responses explain the pros and cons. 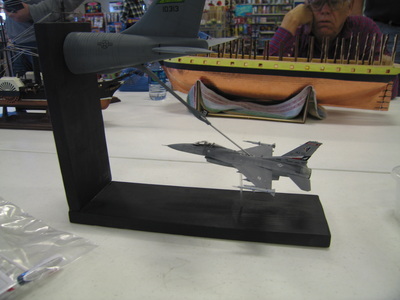 ASU-Beebe: The art department at Arkansas State University-Beebe is displaying works from the modeling community in the art gallery on campus. 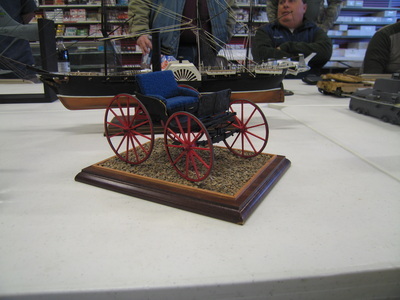 The showing begins on January 13. 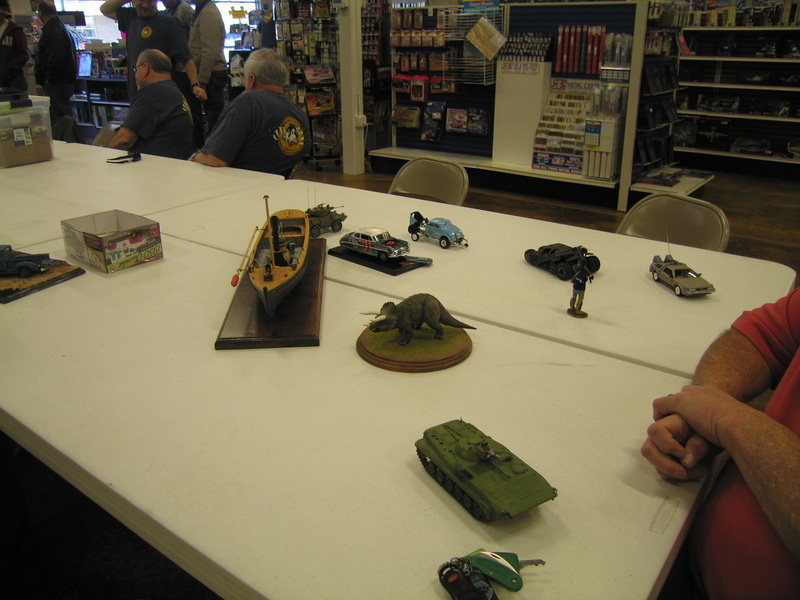 Setting up for the showing will be 3:00 after the meeting. 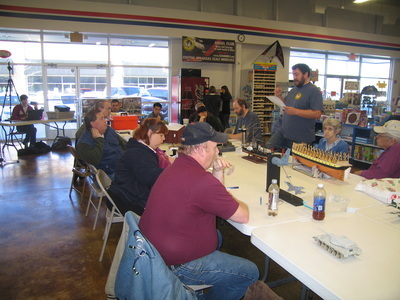 Talk to Brent for more details. Nuts and Bolts: Ron Leker introduced a new line of Meng products called Nuts and Bolts and passed around some examples of these pieces. 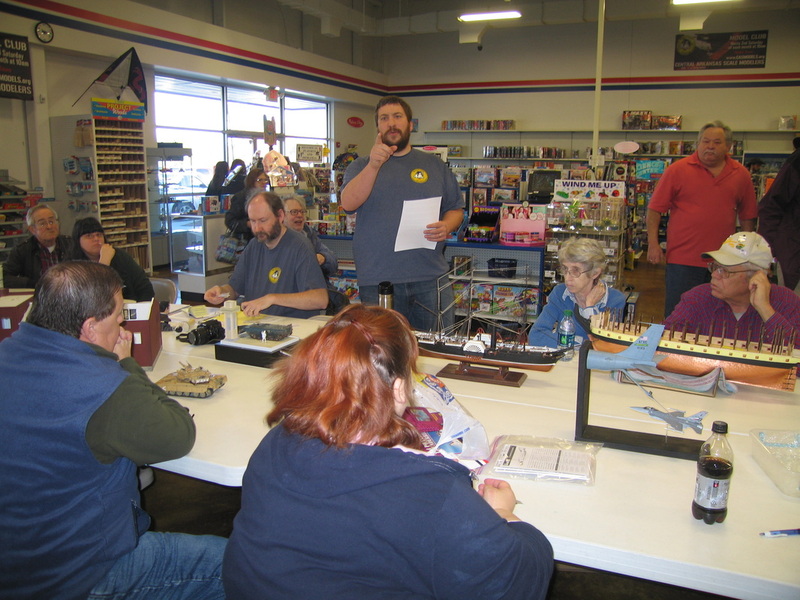 2014 Spoo-Doo: The memberships voted to host this show again in 2014. 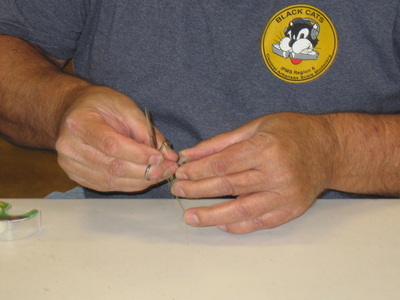 At this time, the date of September 27 is being considered. 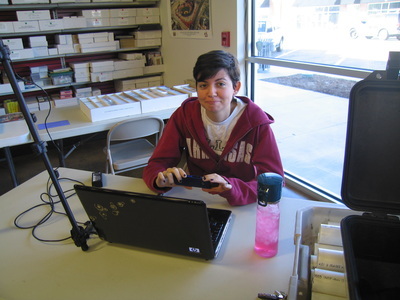 Brianna is currently looking into using Camp Aldersgate as a venue, but if anyone has any suggestions for a venue in the Little Rock/North Little Rock area, contact Brianna. 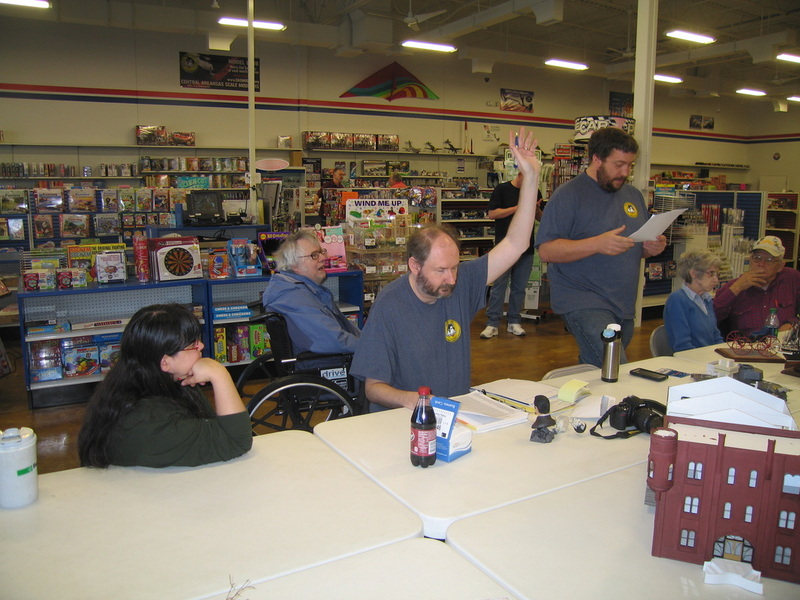 National Defense Authorization Act: Daris Long shared with us that this act has passed, and will lead to a review of the death of Daris’s son. The next group build will be due in June and the theme is “D-Day,” which can either refer to the WWII event or a piece with D in the title. 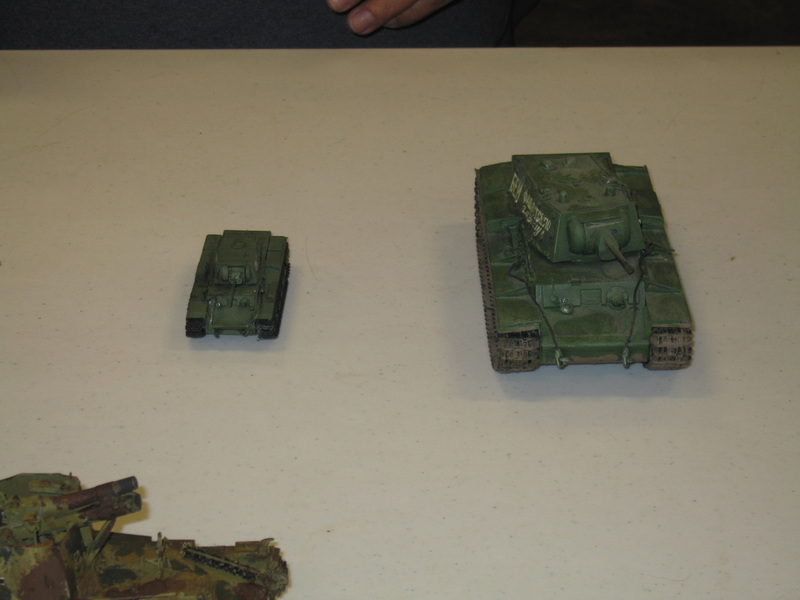 Demo: Cliff Bullock gave a demo on 1/72 scale armor, including tools and materials used to build these small models, and materials used to created bases. 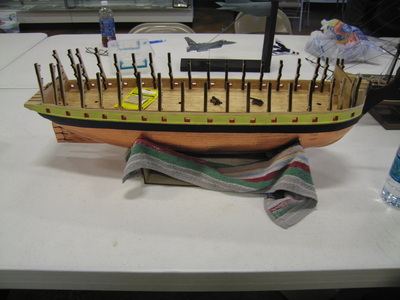 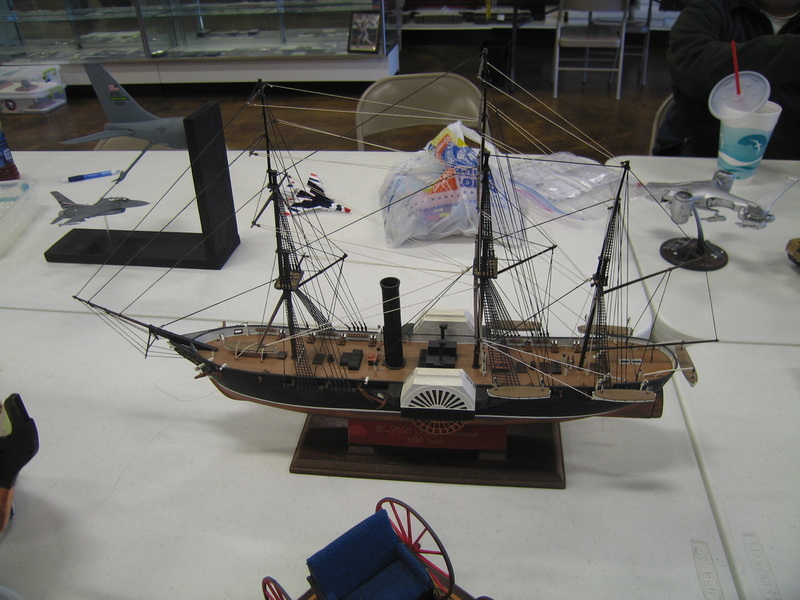 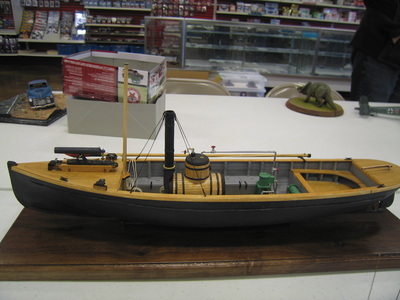 Bob Hiatt presented a HMS Victory WIP. 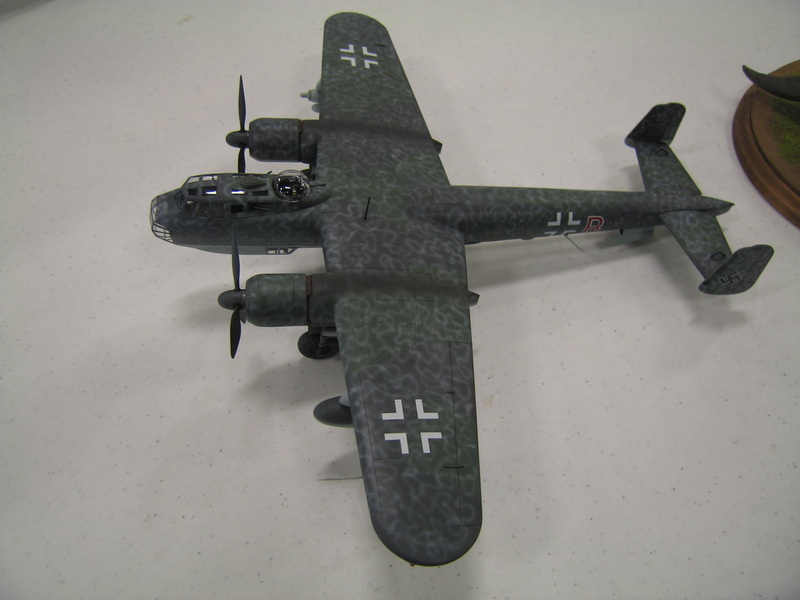 Ken Childres presented a Panda 38-T with modifications WIP and a diorama for his Taxi 13. 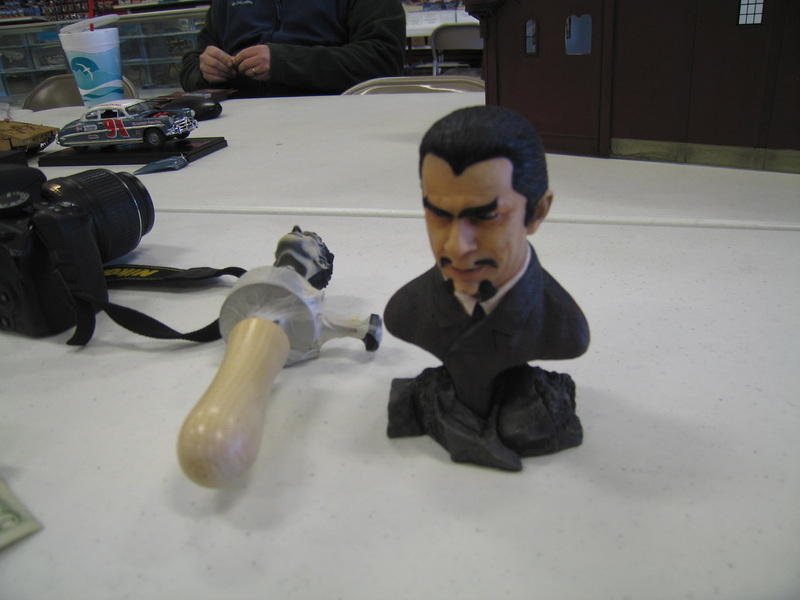 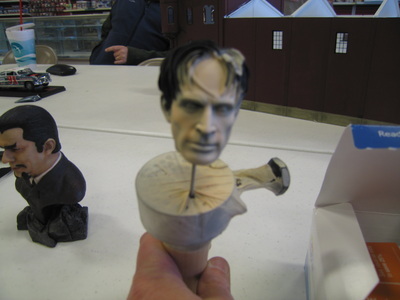 Brent Bristow presented a Bela Lugosi White Zombie bust and a Cabinet of Dr. Caligari WIP. 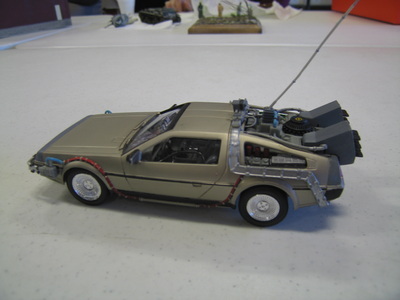 Traci Derrick presented a Delorian time machine from Back to the Future. 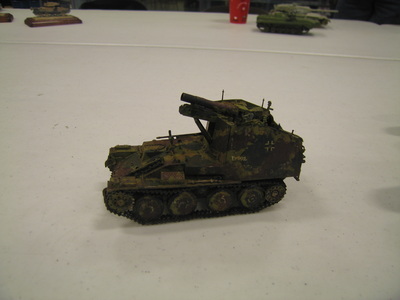 David Stilwell presented a Trumpeter LAV-III. 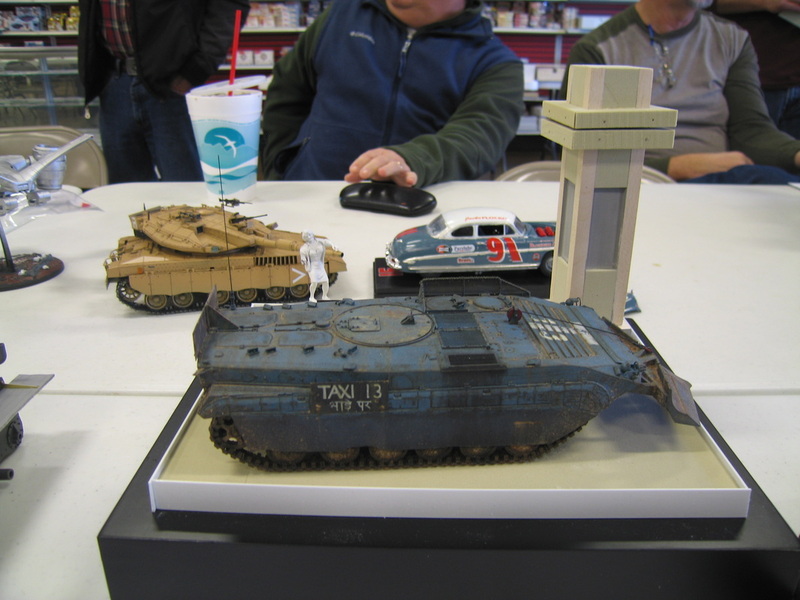 Ron Leker presented a Tamya Challenger II WIP he is converting into a futuristic tank. 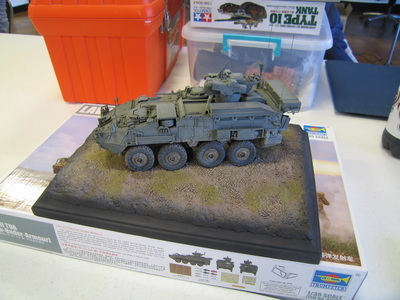 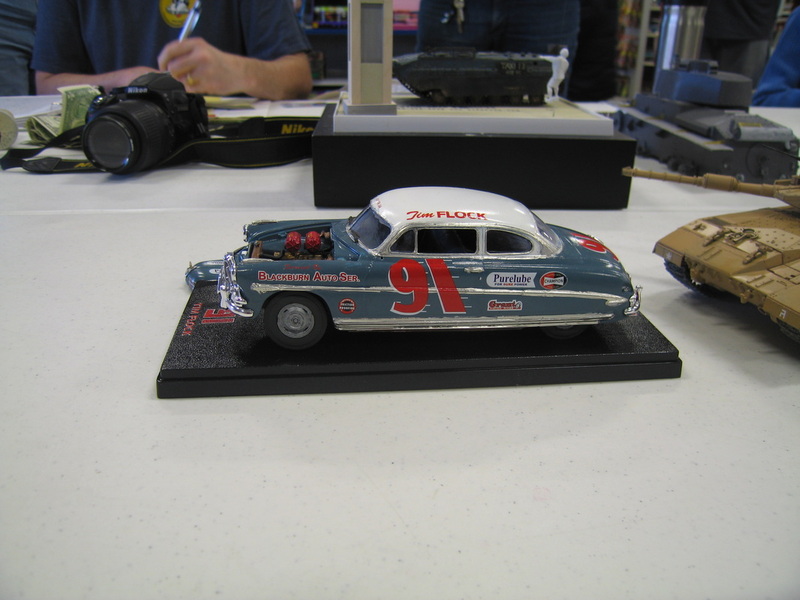 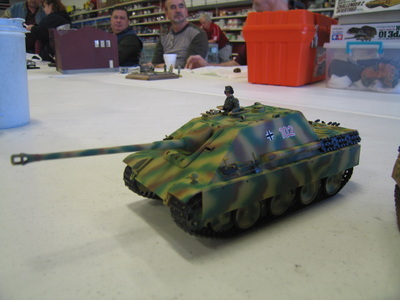 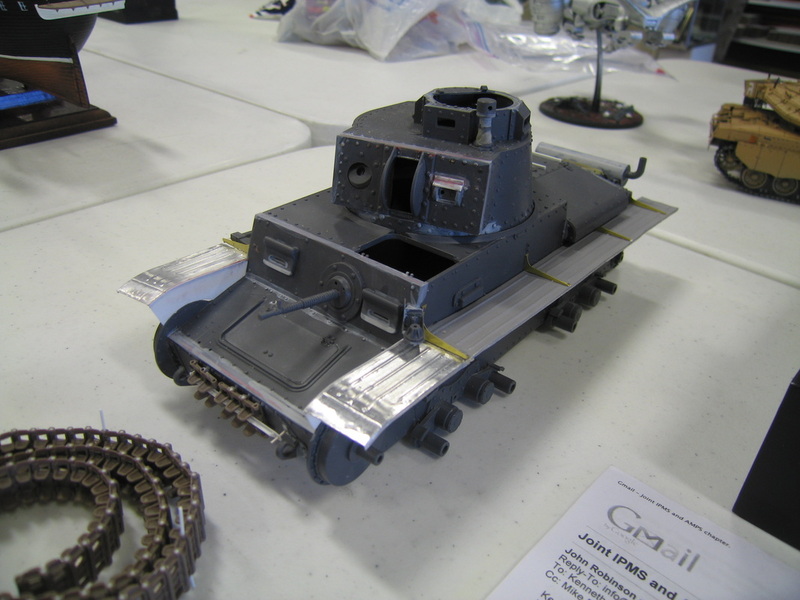 Rick Knapp presented a Tamiya MCMK WIP with base. Matt Dillow presented a slaughterhouse WIP for a model railroad display, and a section used to construct a bridge. 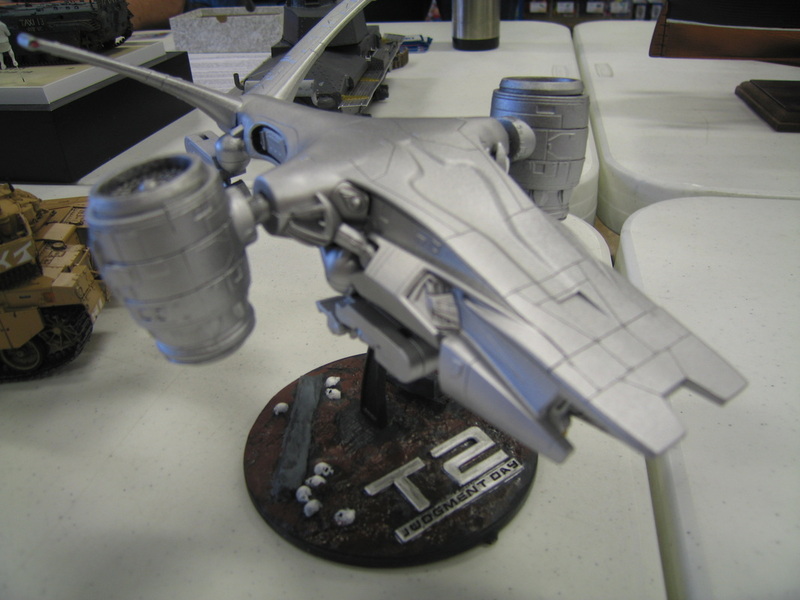 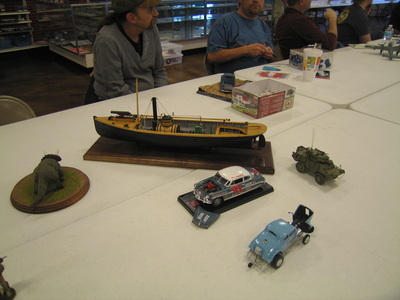 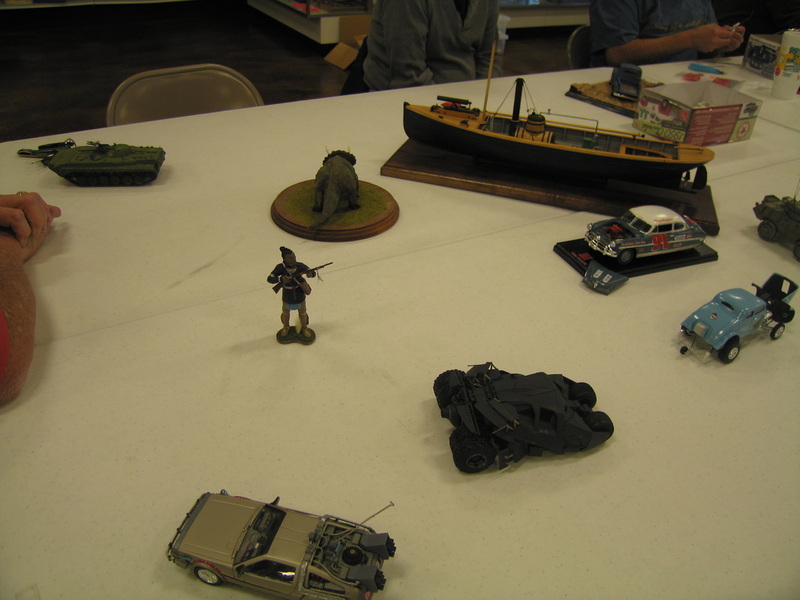 Richard Buzbee presented a Meng Merkava 3T and a Terminator 2 drone ship. Shawn Boody presented an F-4 Phantom Thunderbird. 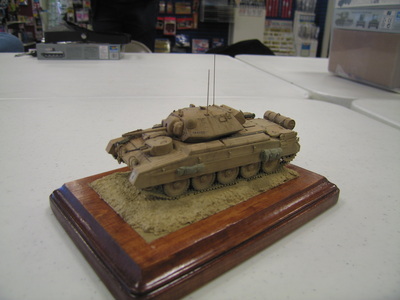 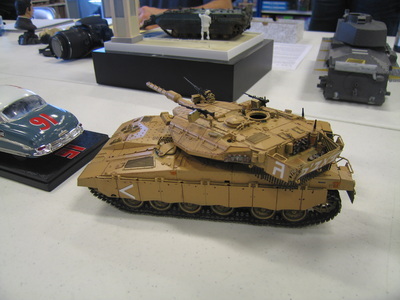 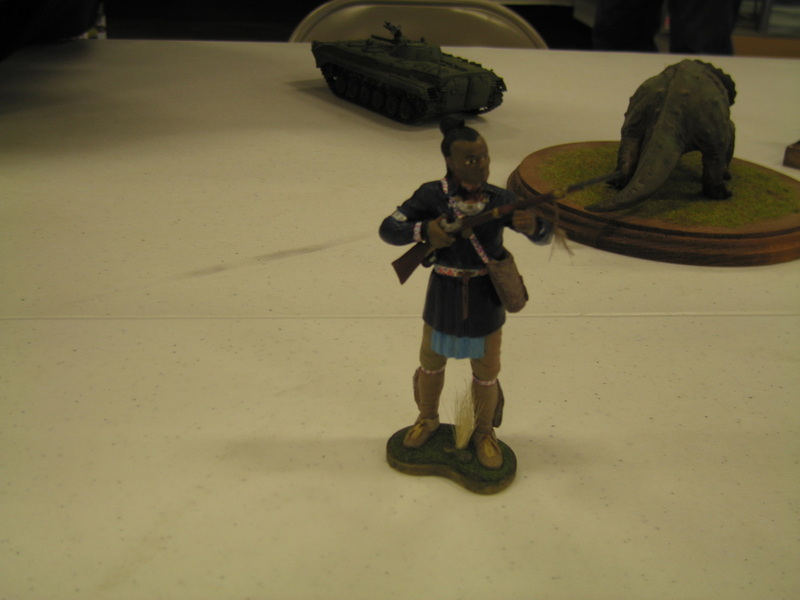 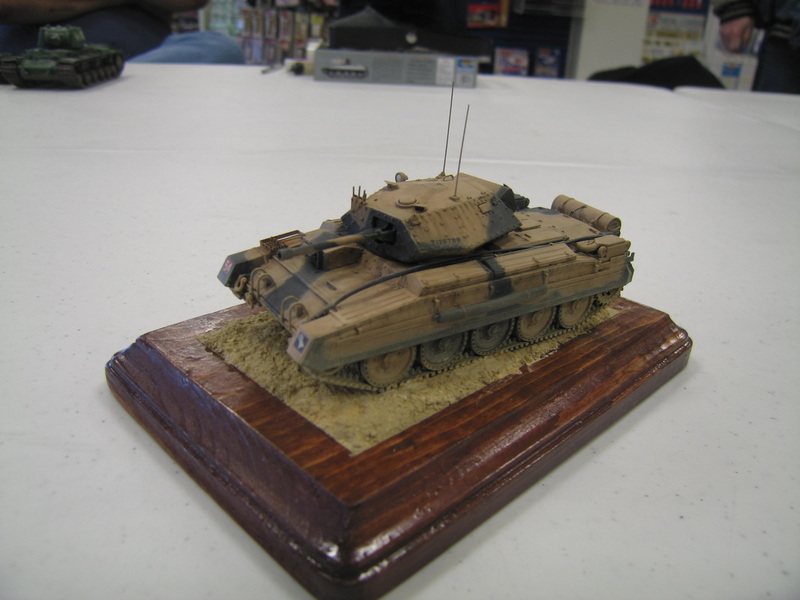 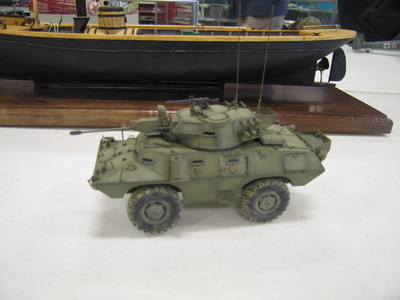 Tom Brown presented a BMP-1 and a Tamiya Merkava I WIP. 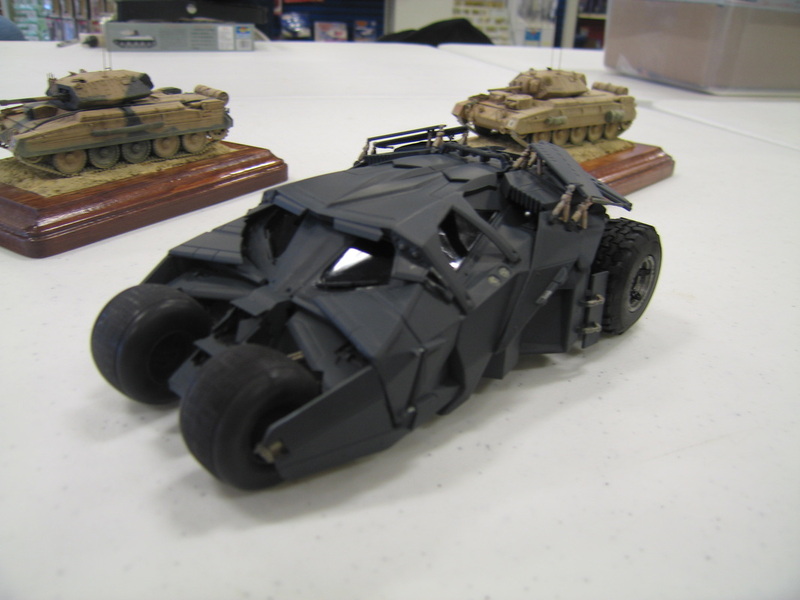 Matt Bond presented a Tumbler Batmobile, and 1/48 Mk. 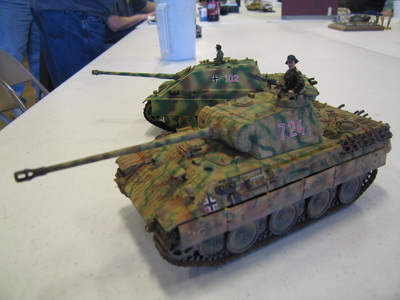 I and Mk. 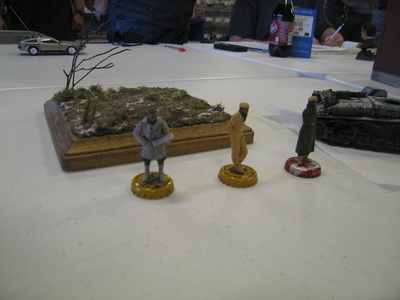 III Crusaders. 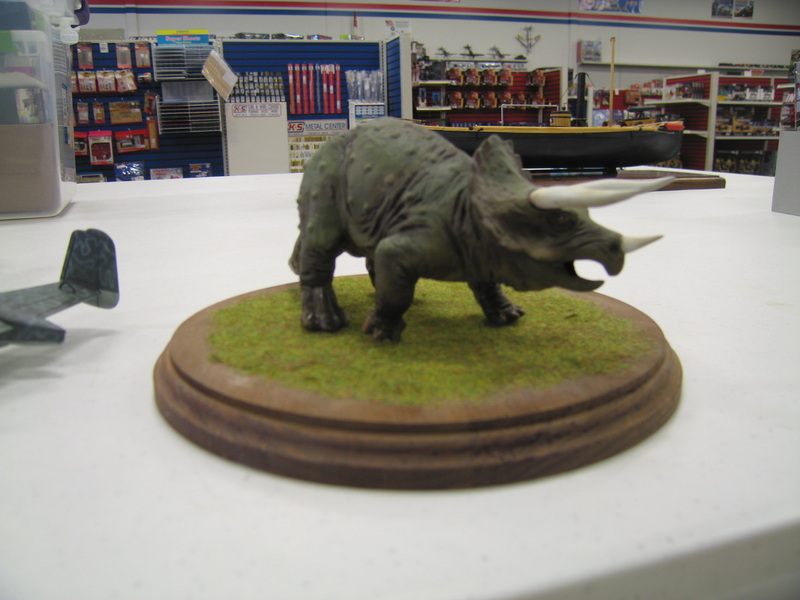 Tom Dungan presented a 217 Bomber and a Triceratops. 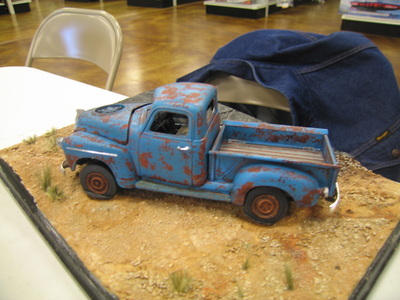 Ken Faussett presented a ’40 custom pickup truck WIP. 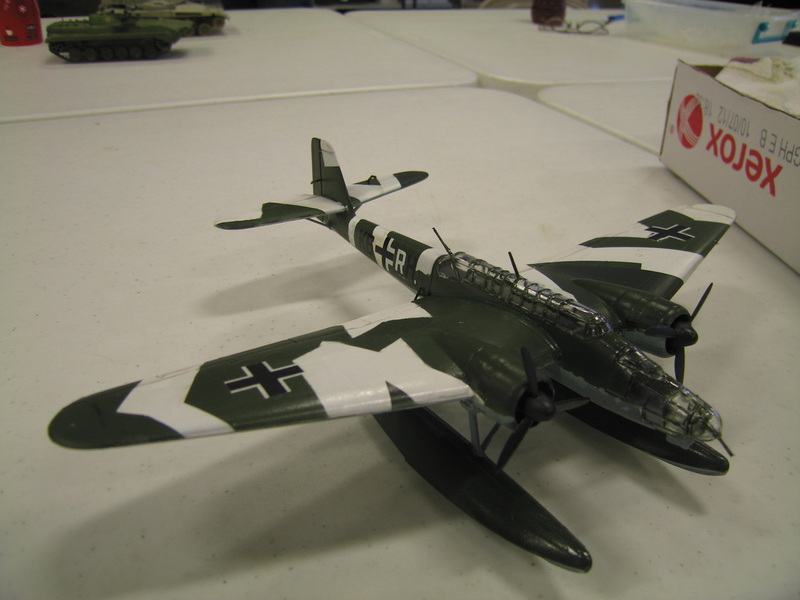 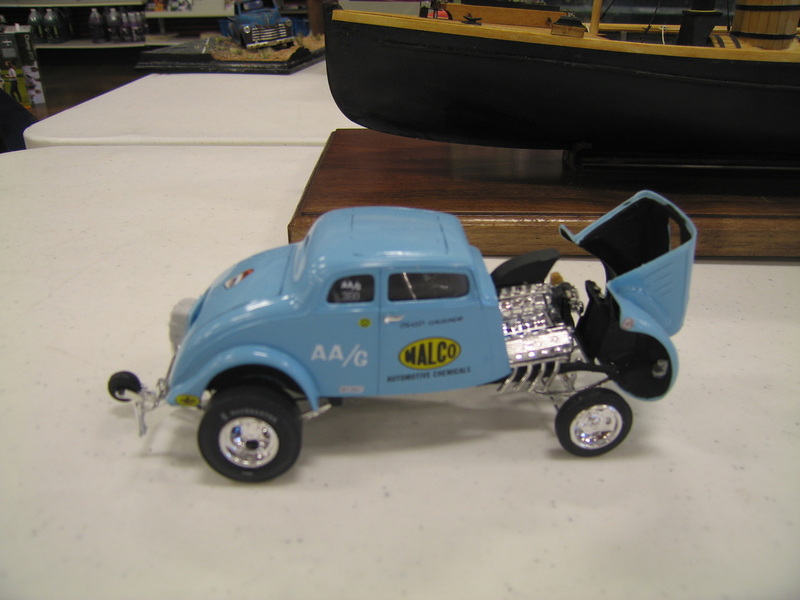 Cliff Bullock presented Matchbox 1/72 HE-115, an Alan SDRFZ 183/1 Grille M, and a AMT 35 Ohio George Willys.